Good afternoon!!! Who else is getting ready for Fall weather? While it may still be 90’s here in the South, we are getting a slight tease here and there with leaves dropping and cool mornings. Fall time for me is all about football, campfires, and cozy sweaters. Basically I need and want to be outdoors as much as possible. There is something wonderful about soaking in the last bit of nature before going into Winter. 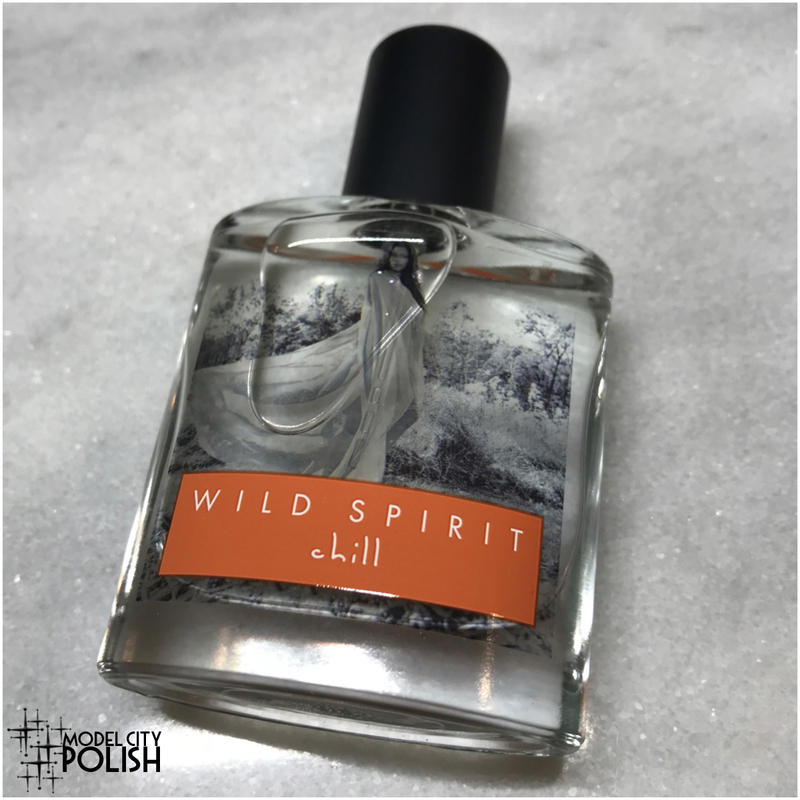 Getting me in the Fall mode a little early is Chill by Wild Spirit! Wild Spirit Fragrances is a fabulous small independent company offering up four unique fragrances using natural essential oils that you can combine to create your own unique scent or wear each one alone. Wild Spirits prides themselves in containing no sulphates, parabens, and dyes so you can rest assure you are getting a quality product! I have been wearing Chill on it’s own and it just the perfect scent for Fall, or a sweet scent lover like me I can see wearing all year. Chill is a unique blend with delicious notes of golden apples, vanilla, and cinnamon with a fresh ocean breeze and hints of salted caramel. This fragrance contains natural essential oils from cinnamon and red seaweed. 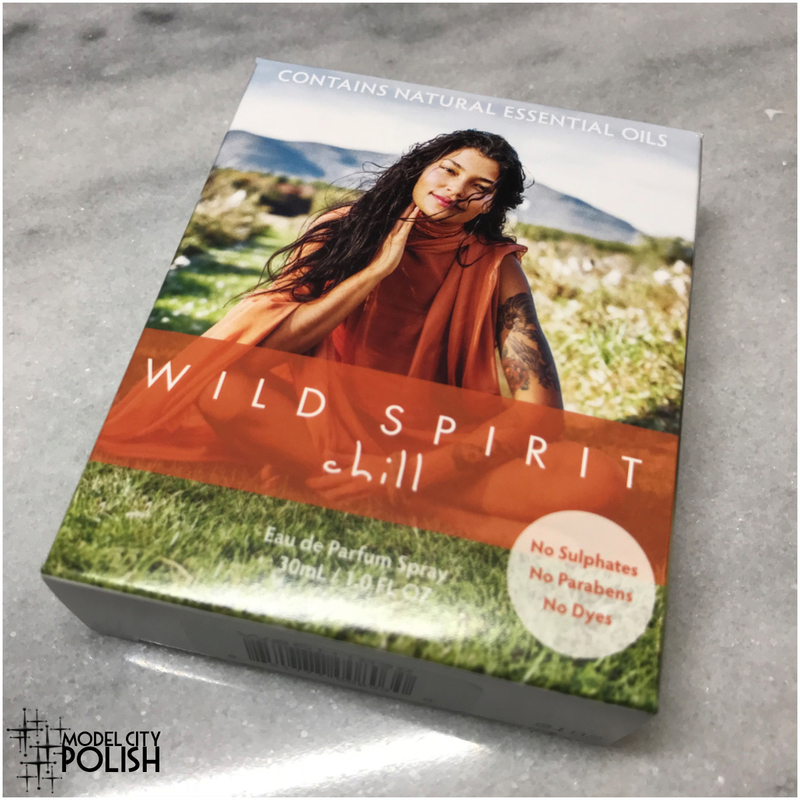 Have you guys tried out Wild Spirit Fragrances yet? I personally love Chill and see myself picking up the set so I can try combining scents for different occasions. Chill will certainly be my everyday scent though, it’s perfect! You can pick up Wild Spirit Fragrances direct or even at your local Wal-Mart so you can try the scents out in person. I will certainly buy direct but I love having the option of quick pickup if in a pinch. Thank you so much for stopping by today and I will see you all again soon! Chill isn’t a scent that I would wear year round, but it is a great option for fall! I really love their Driftwood fragrance! I’ve just been seeing things about Wild Spirit. I think the fragrances sound so unique. I really don’t wear much in the way of scents, but this does sound lovely for fall! This scent sounds amazing and unique! I’ve not heard of them! Interesting concept with the essential oils, I probably couldn’t do this scent but its neat! I’m so curious about the mix of the scent! I want to smell it! Never heard of them, but the fragrance sounds nice. This sounds like an interesting scent. I can’t quite picture it but I’m totally intrigued. Haven’t heard of this brand but I do like the way EO’s smell and wouldn’t mind turning them into wearable fragrances! The bottle is attractive! It lends a kinda clean vibe. I’ll have to look for it. This scent sounds AMAZING, I’d love to pick it up. In all honesty I was expecting a higher price for such an amazing sounding perfume! I’ll be checking it at Walmart ASAP! This sounds yummy! I haven’t heard of this brand but I do love essential oils so I’m going to look more into their fragrances.